WICKED DESCENT now available for preorder! 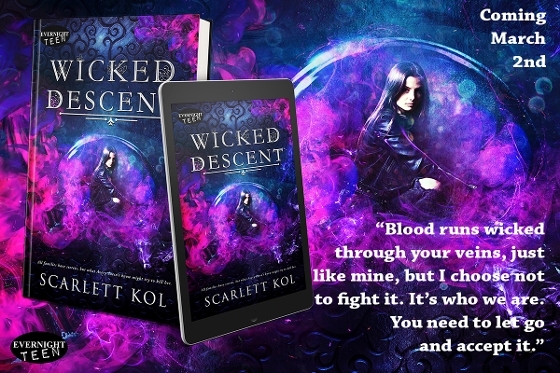 As most of you already know, my second novel WICKED DESCENT is dropping on March 2nd from Evernight Teen, but if you can't bear the thought of waiting until Friday to purchase, it is already available for preorder at iBooks, Barnes & Noble, and Kobo. To save you the search, Kobo can be purchased here or from Chapters/Indigo here. I hope you all love to meet Avery & Drew. This book is one wicked ride!